Energy-its discovery, its availability, its use-concerns all of us in general and the engineers of today and tomorrow in particular. 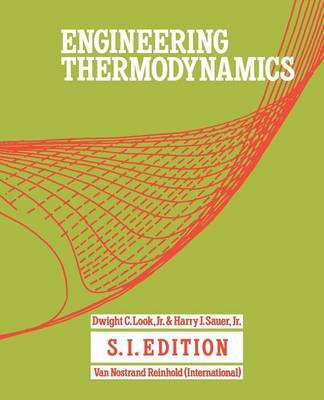 The study of thermodynamics-the science of energy-is a critical element in the education of all types of engineers. Engineering Thermodynamics provides a thorough intro- duction to the art and science of engineering thermodynamics. It describes in a straightforward fashion the basic tools necessary to obtain quantitative solutions to common engineering applications involving energy and its conversion, conser- vation, and transfer. This book is directed toward sophomore, junior, and senior students who have studied elementary physics and calculus and who are majoring in mechanical engineering; it serves as a convenient reference for other engineering disciplines as well. The first part of the book is devoted to basic thermodynamic principles, essentially presented in the classic way; the second part applies these principles to many situations, including air conditioning and the interpretation of statistical phenomena.